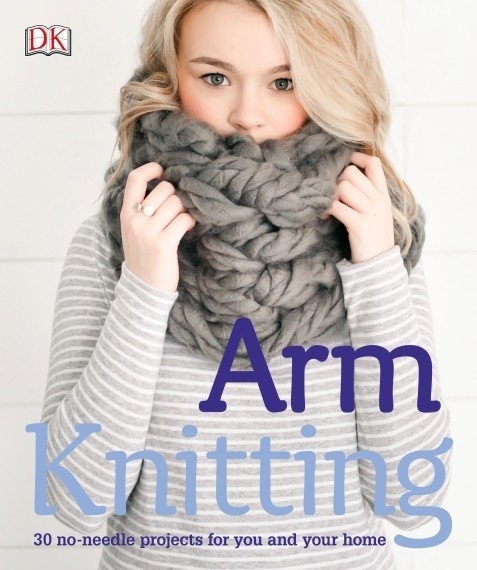 With 30 no-needle projects for you and your home, Arm Knitting is the ideal guide to this quick knitting technique. 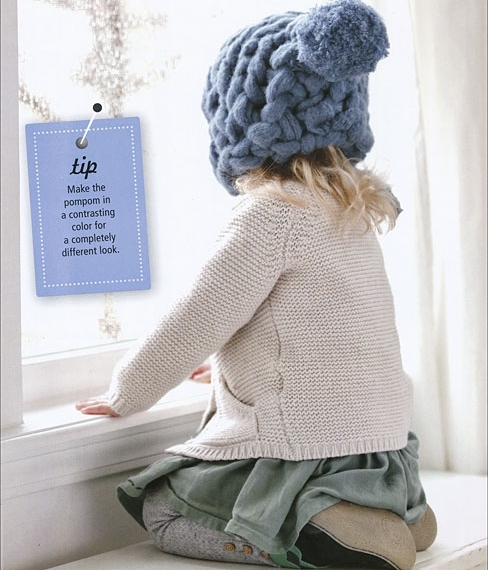 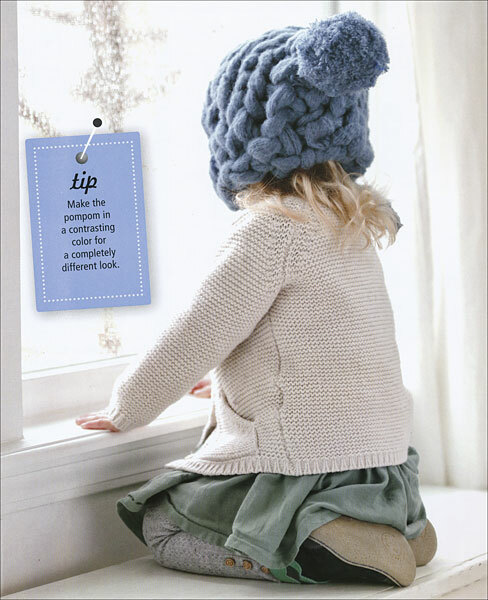 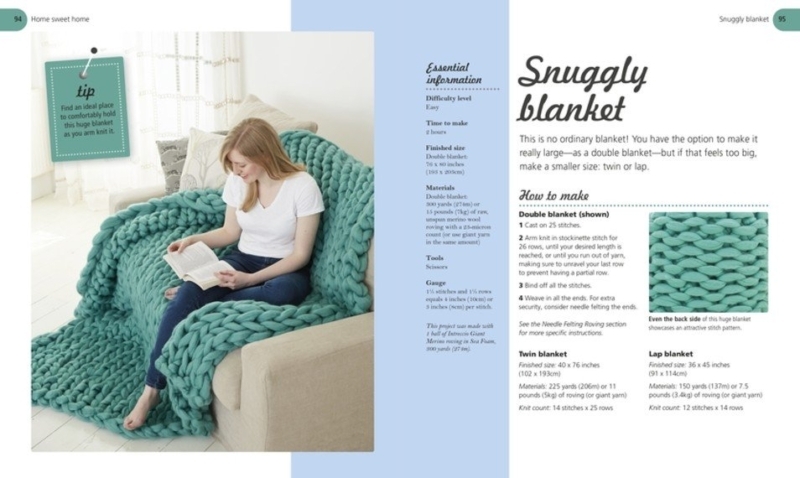 Try knitting projects including scarves, hats, curtains, rugs, and even a hammock to brighten up your home. 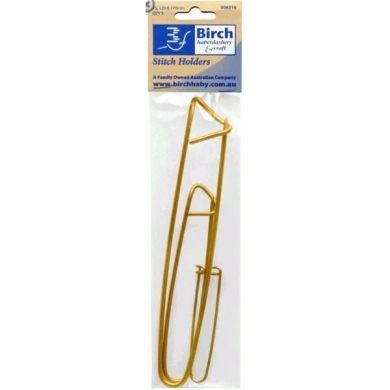 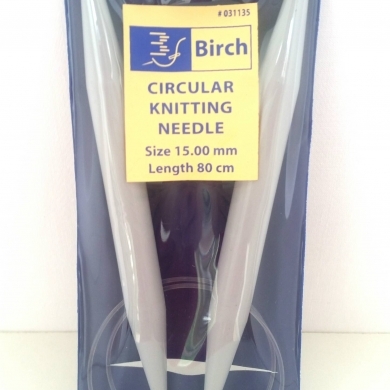 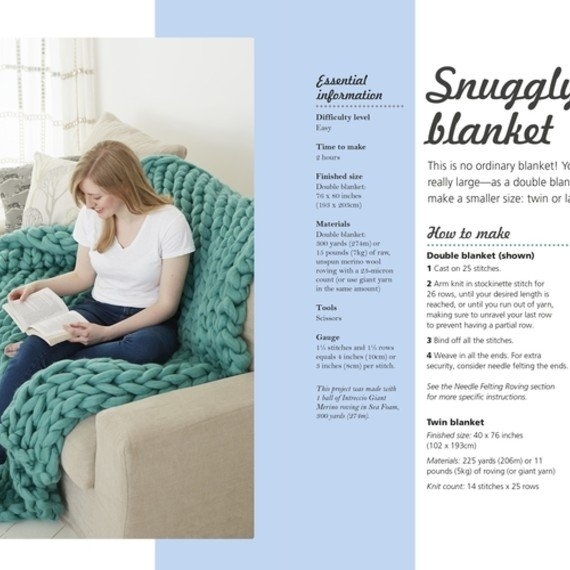 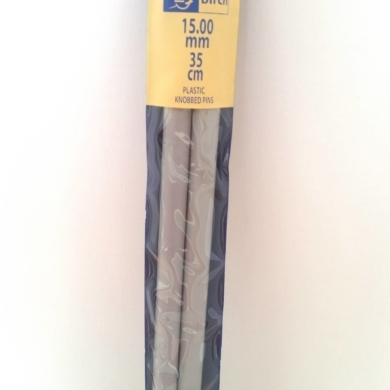 Large patterns and no needles means that projects are easily completed in an hour or less, perfect for beginner knitters or busy lifestyles. 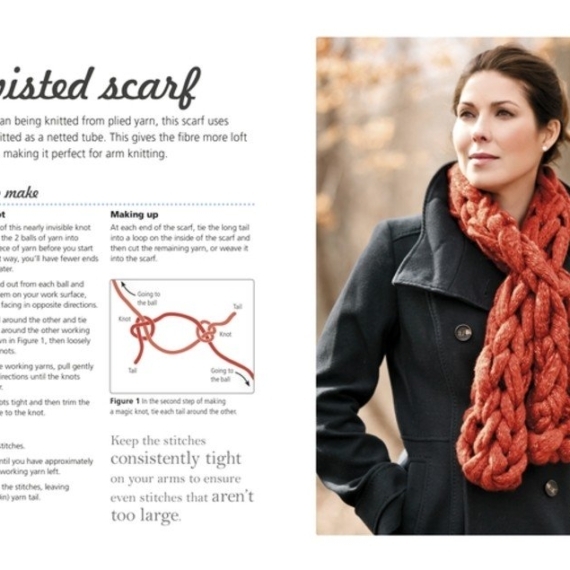 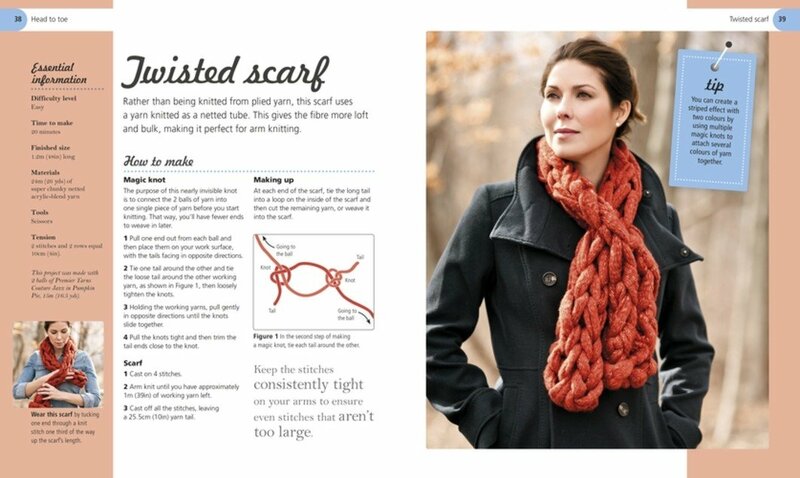 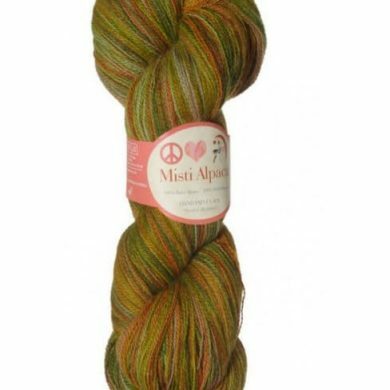 With gorgeous step-by-step photography and detailed instructions covering all knitting materials, tools, and techniques, Arm Knitting is ideal for knitters of all abilities looking for projects that save on time but still look beautiful.